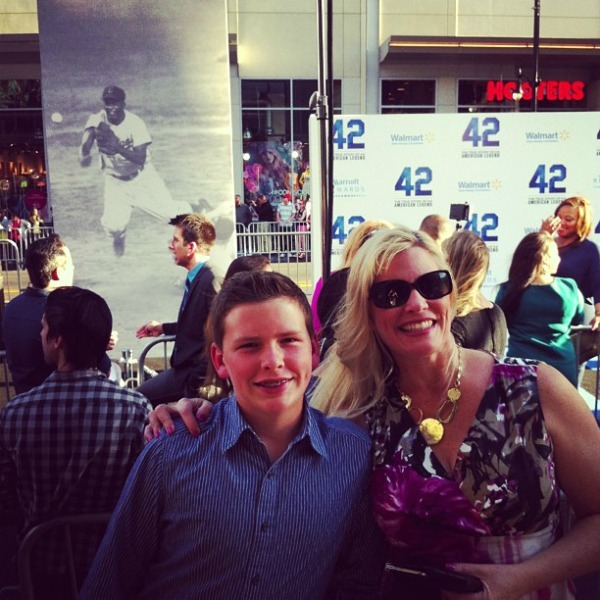 A few weeks ago, my mom and I got invited to the red carpet Hollywood premiere of 42 (The Jackie Robinson movie). We were so excited… but then we remembered. What about dad? So we were able to get another ticket, and we all drove up to Hollwood. I only learned one thing in Hollywood. That one thing is that I LOVE Hollywood! Jackie Robinson was such a boss! It was awesome seeing him on the screen in the TCL Chinese Theatre (a.k.a. Grauman’s Chinese Theatre). The movie is about Jackie Robinson’s life and all of the struggles that he had with racism. Jackie Robinson was the first African-American player to play on a major league baseball team, and he had to deal with a lot of prejudice. It is a really touching movie. I couldn’t believe that people back then were so mean over a stupid issue like skin color!!! My Mom and I standing in front of the Red Carpet (which in this case is black, not red). 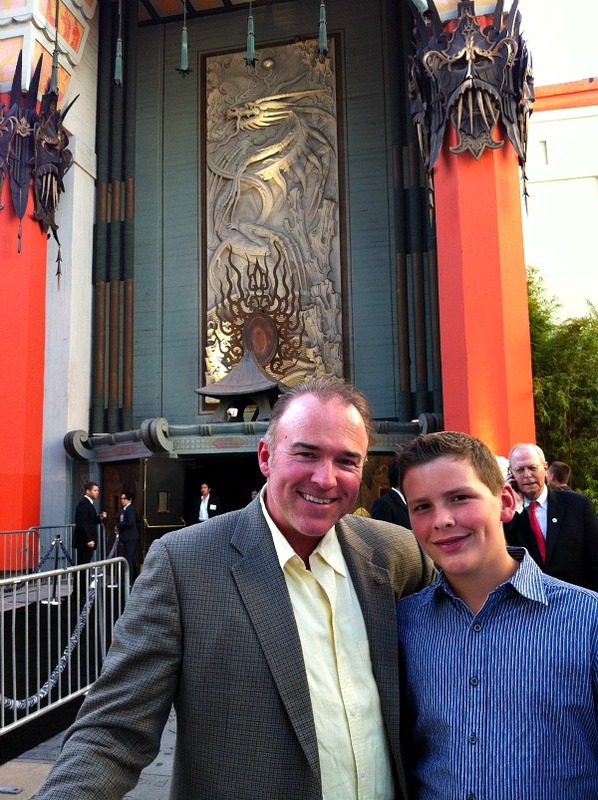 My Dad and I standing in front of the amazing TCL Chinese Theatre. I loved the fact that they offered free soda and popcorn inside!!! 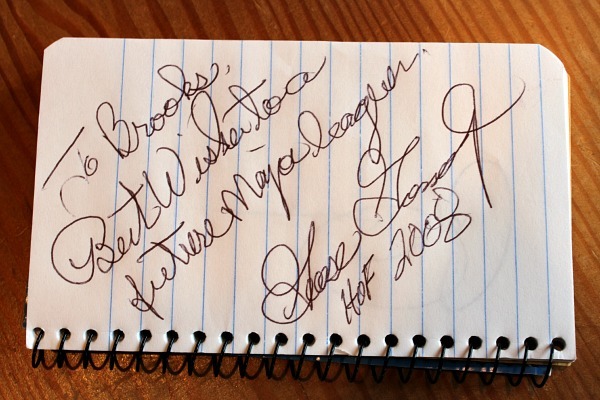 In the theatre, I met Hall of Fame Yankees/Padres pitcher Goose Gossage and got his autograph! Later I looked up a picture of Goose in his pitching days. He looks exactly the same! Wow. Now somebody as famous as Goose knows MY name! 42 was terrific! Chadwick Boseman was a perfect Jackie Robinson. But what confused me was that Harrison Ford didn’t sound the same or look the same as one of his previous roles, Han Solo. Harrison Ford just sounded like a Grandpa with a chainsaw for vocal chords. I couldn’t talk in a voice that low! But then again, I think he’s getting old. The movie was great. It taught me more about the whole situation with prejudice back then. 42 is a good movie to take your kids to if you explain the “N-Word” to them before the movie, and then talk about it after the movie too. I find that people were so stupid in the past. What’s wrong with having different skin color?! I think that everyone should go see this movie. And even a kid has a chance to see the Hollywood Premiere of a movie… Like Me! 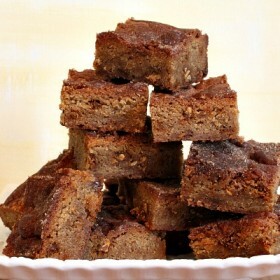 Snickerdoodle Blondies and BIG Giveaway! What a great article. It is amazing that you got to experience that. You are such a handsome young man and such a good writer. You might just find yourself in Hollywood one day. My 9 year is going to be so jealous! Congrats on the invite, that’s awesome! 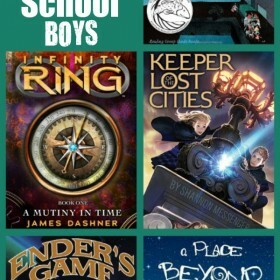 We want to see this movie! Glad you enjoyed it! Really good post Brooks. It sounds like you learned a lot just by seeing this movie. 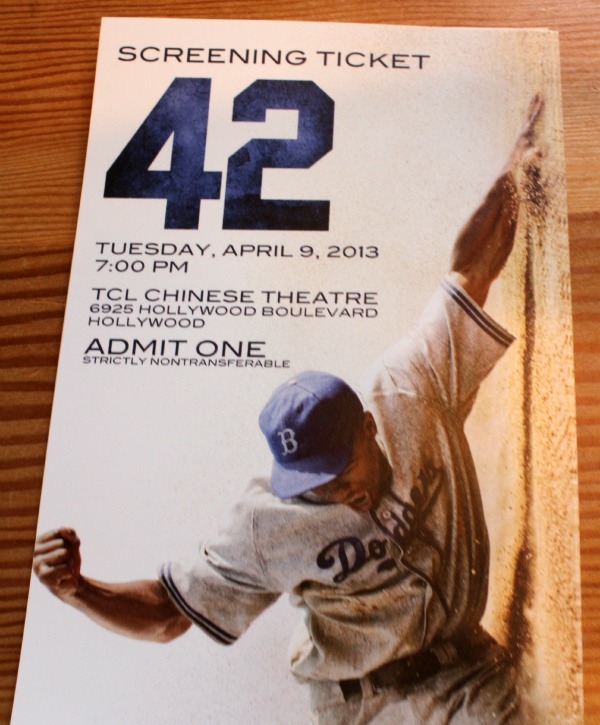 I loved “42” Your right, it was very touching and well acted by all. Harrison looked good to me and I won’t be susrprised if they offer him a nomination next year. Good job buddy!